If you have muscle twitching and have googled twitching muscles, you’ve most likely stumbled upon some links for the deadly disease ALS. You now might think you have ALS, since muscle twitching is a symptom of the incurable ALS. 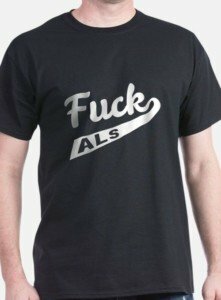 But if you read more about ALS, you’ll come upon information that indicates that muscle twitching comes after muscle weakness. However, you may now suddenly be experiencing what you believe to be weakness in your muscles. In ALS, one of the first muscles to go is often that which controls foot movement, particularly up and down movement: clinical muscle weakness. The muscles that control the joint action of dorsiflexion no longer work, and thus, the foot becomes limp. A person suffering from fear he or she has ALS might start thinking they have this foot drop. If he stumbles upon bunched-up carpet, right away he’ll think foot drop. They’ll perform endless strength tests for these muscles to check for the drop, and no matter how well they do these muscle strength tests, they’ll never be assured that they don’t have ALS. “If a patient has a foot drop, they would not be able to perform any active exercise, meaning any exercise that can be performed unassisted or that would require resistance such a standing on one’s toes or utilizing a resistance band to stretch out the calf,” explains Dr. Alan L. Bass, DPM, Medical Director of NEMO Capital Partners, LLC. Yes, as simple as this is, a person with ALS foot drop will not be able to do this efficiently. This action requires continuous dorsiflexion, the very muscles that, when healthy, prevent foot drop. Though these muscles don’t work hard to operate the car’s pedal, the continuous use of these muscles is significant. This test applies only if the person already normally uses the foot on the pedal (depending on driving habits). Stand at bottom of staircase. With both feet at the same time, jump to next step. Land with both feet at the same time. Repeat to the next step. Go all the way to the top. This isn’t a fitness test. It’s a “Can I even do this?” test. If you’re clumsy (and you WILL be, due to anxiety of passing this test), this doesn’t matter, because MOST people cannot do this without a little (or even a lot) of clumsiness. 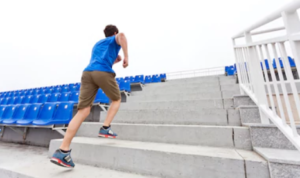 As a fitness trainer I’ve had only a few clients who were able to smoothly hop up a flight of stairs: boing boing boing boing boing. Other clients were sloppy and uncoordinated. A person with ALS foot drop will NOT be able to what the women in the image above are doing. Muscles required to do this are the same that prevent foot drop. If you can stand on one foot, it’s time to stop obsessing about ALS. If you stand on one foot, you’ll feel these muscles at work. Expect to lose balance quickly the first several attempts, because anxiety will loom. But keep at it and sooner or later you’ll find yourself balancing nicely. A person with ALS foot drop will NOT be able to balance and improve, no matter how many times they attempt it. Run up the stairs as fast as possible, then down. If the muscles that control dorsiflexion are dead, you won’t be able to do this…at all. If you can perform all of these routines (regardless of clumsiness or number of attempts required), then you can free yourself of ALS panic, assume your twitching muscles are healthy, and that the foot drop is all in your imagination. 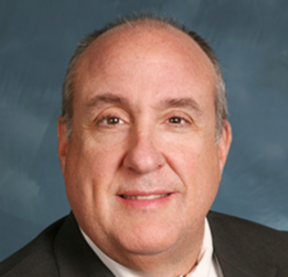 Dr. Bass is with Central Jersey Foot & Ankle Care, and is a Fellow of the American College of Foot and Ankle Orthopedics and Medicine.